Wow That is beautiful!! i love the attentionto detail. Thank you! 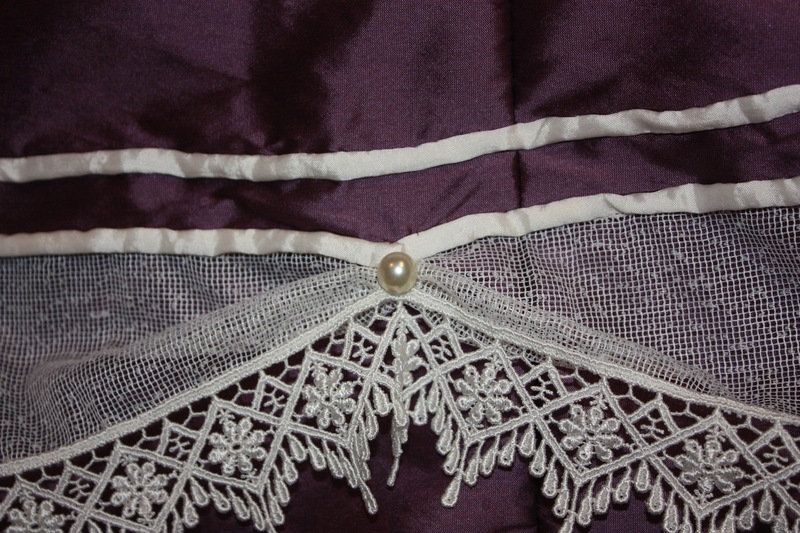 It looks very similar to the plates of the period, so I am pleased! How beautiful….you’ll be the belle of the Ball! It is pretty isn’t it! I am looking forward to seeing what other people are wearing to the ball too! I loved you ball gown at JAFA! Great blog! Oh thankyou! I was reading your blog yesterday about your archery dress, and I remembered seeing it at the festival! I didn’t realise there was a group of you with matching ones though. I am so pleased you got a chance to try archery with it. That must have been fun. I was too busy dancing and doing sewing workshops to even look in on archery! I’m interested in your skirt pattern. 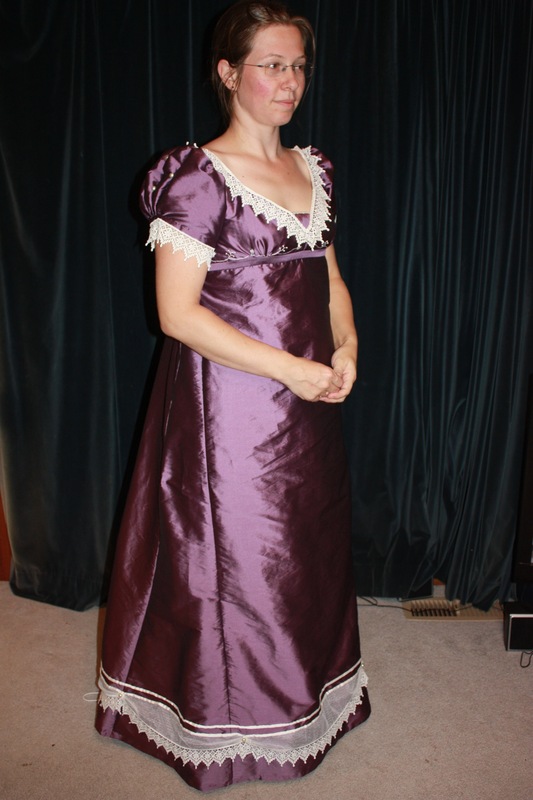 I want a more late regency feel to my ballgown. 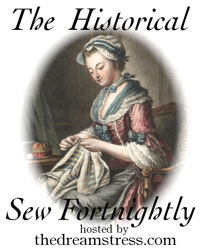 But I’ve only got a pattern for early regency. 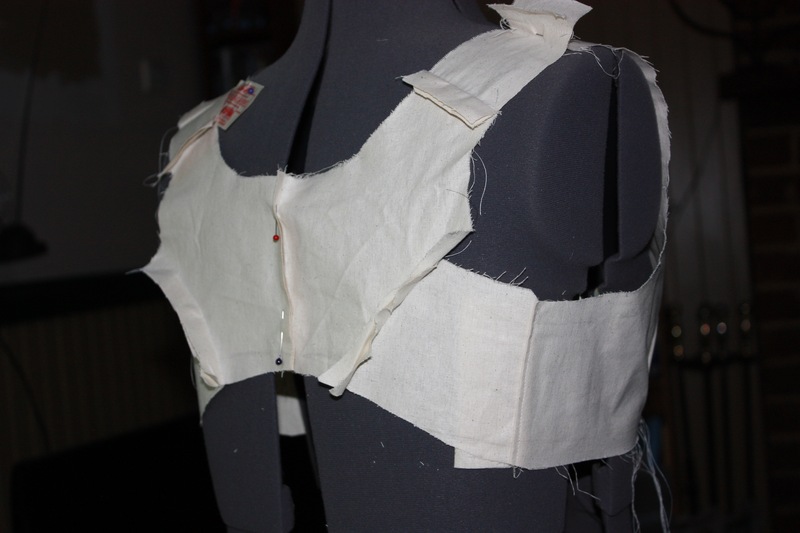 Already changed the waistline and puffyness of sleeves. Just trying to figure out how to adapt the skirt. How did you draft the skirt? 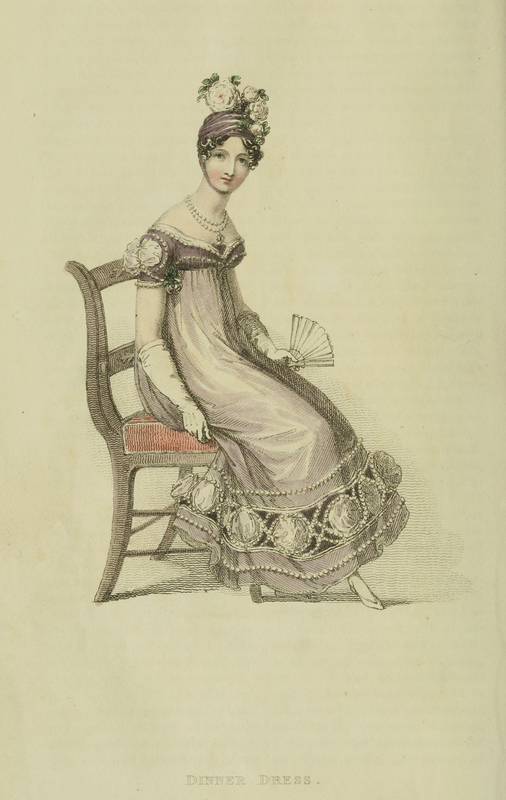 Earlier regency dresses were basically a tube of material gathered at the waist. 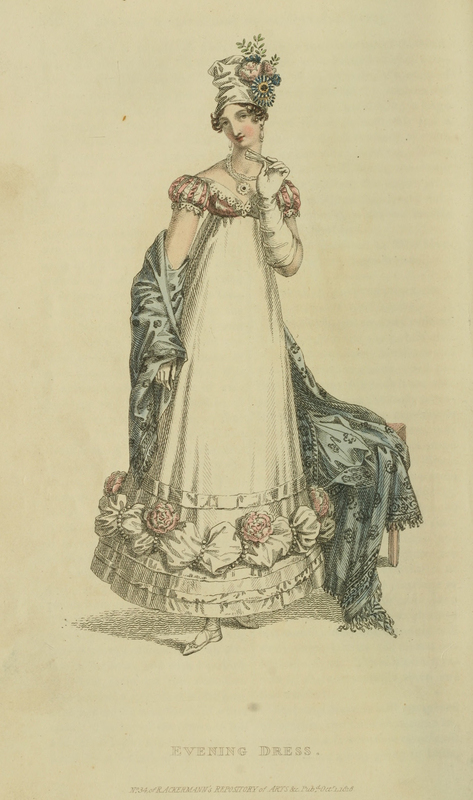 Later regency dresses were gored at the sides to create a slightly more A-line look. They were not gathered at the front as much, but the gathers were more often pulled to the back. 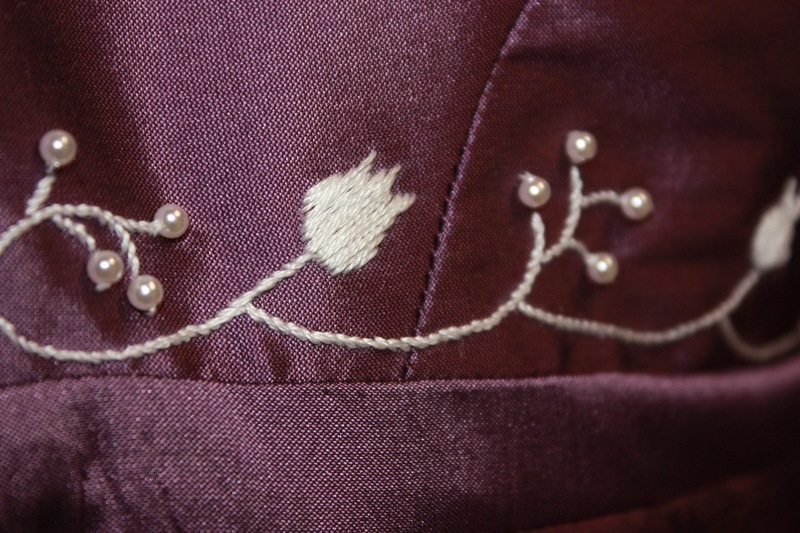 My dress had a centre front panel, which should reach around the front of your waist to your side-back (that is, past the side of your waist… mine did not go far enough around unfortunately). Then there was a side gore on each side. 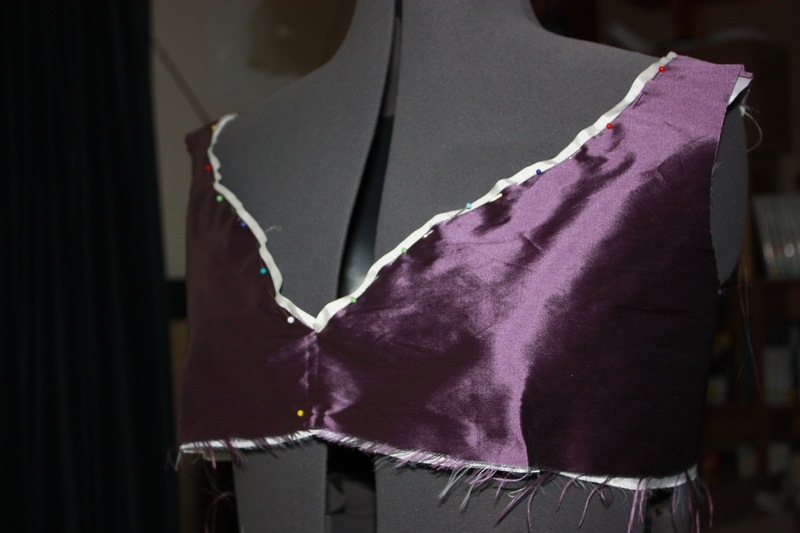 The gores were a right-angled triangle, measuring 15 inches along the bottom hem. The gores “point” backwards, which means the straight grain edge of the gore is attached to the front panel, and the sloping edge is attached to the back panel. 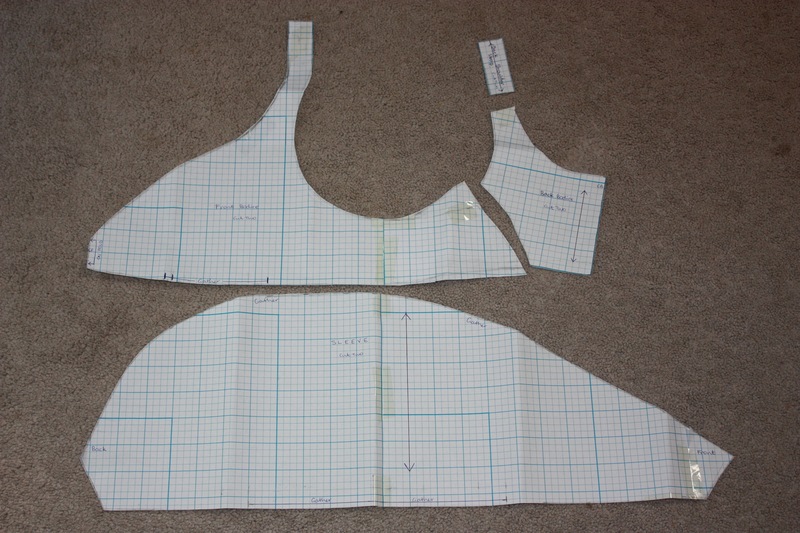 The back panel is in two pieces (with a centre back seam and an opening to get into the dress) and is much wider than the front to allow extra fullness for gathering/pleating at the centre back. All my measurements for these panels are written above, under the “Pattern” heading (Point 3.). 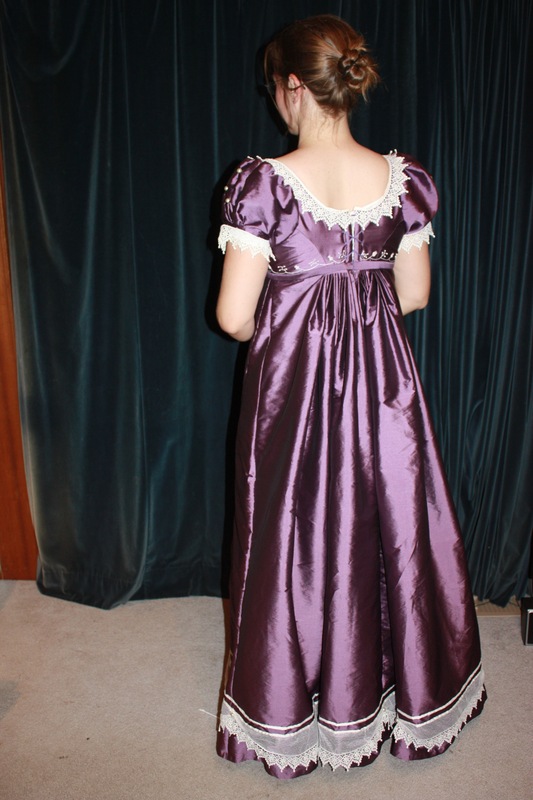 I find the later styles of Regency dresses really pretty! The late-teens are my favourites! ooh, thank you. 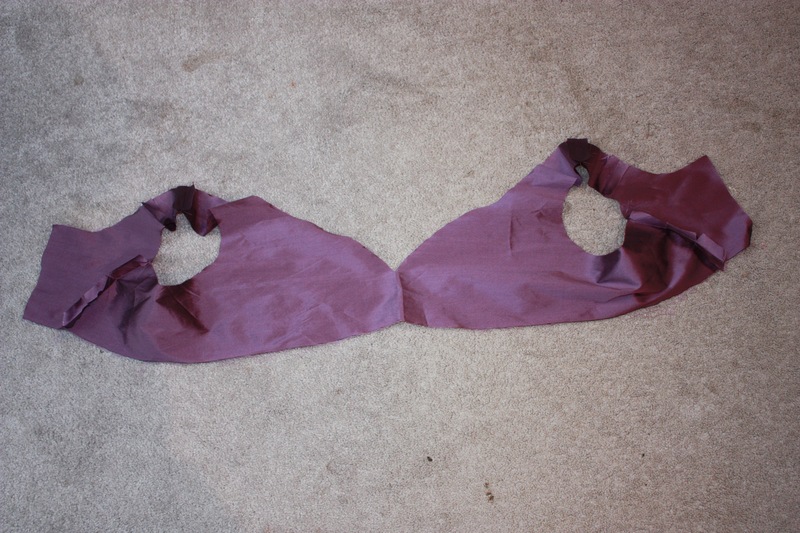 I’m making to for a ‘playford ball’ and wanted the wider hem to make dancing a bit easier. Plus I prefer a slightly lower waistline. I really want to get construction finished and start on the fun part….trimming. lol! 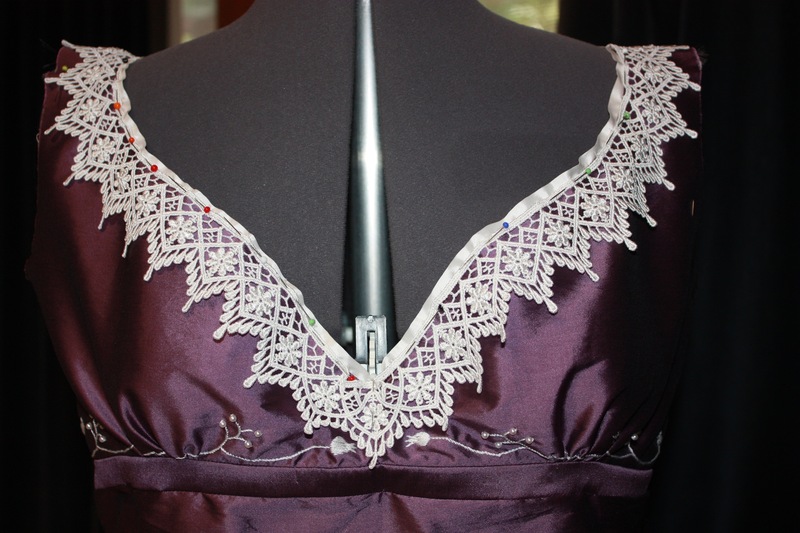 At this particular time in Regency (late teens), the waistlines were at their very very highest, and I must say I find it very difficult to push my bust up into the bodice of this gown!! I believe they began to drop in the 1820’s or so, which is right at the end of the Regency. Have fun sewing for your ball. 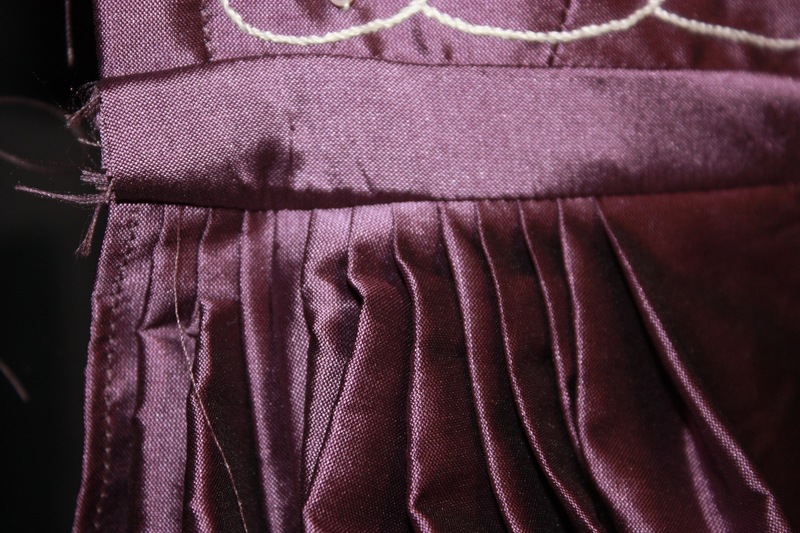 And I do agree that the best part of sewing is the trimming. It makes it all look pretty, hey! I have same issues. 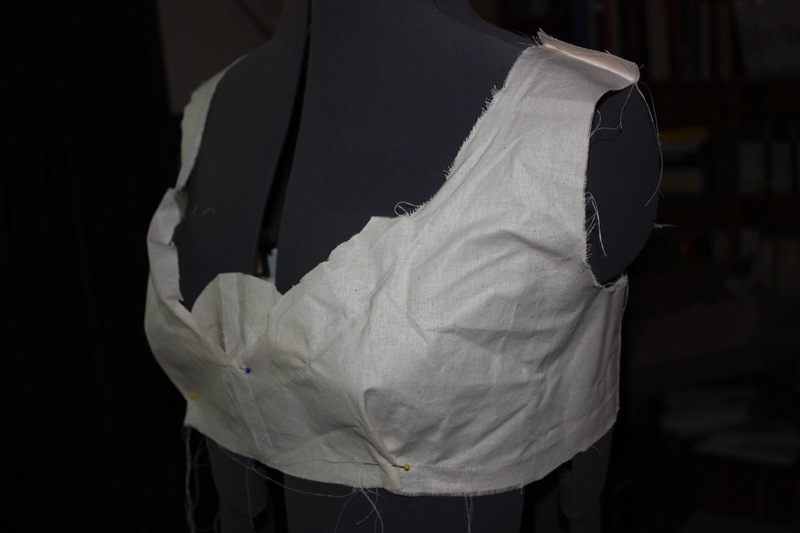 I think I just have naturally low underbust. Its very uncomfortable being pushed up so high. 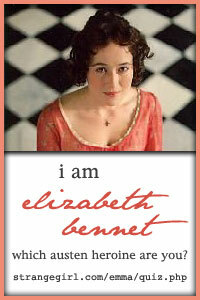 I’m more a Victorian/edwardian & 1940’s girl myself. An Edwardian style dress is next on my wish-list!